We see the confusion of context and taste in virtually all creative endeavours. The ancient Greeks elevated the character of Odysseus due to his pathos. The humanistic Greeks derided him because of his inability to control his emotions. We consider Shakespeare's work as the height of English language theatre. Yet numerous scholars have pointed out that at the time, Kit Marlowe's was possibly the more preferred. The Elgin marbles that topped the Parthenon are known as the Elgin marbles since they were supposedly rescued from the lime-kilns in Athens where they were purportedly being melted down by the Greeks (more likely the Ottoman invaders of the time) in lime-kilns for building purposes. Tastes change. It was not that long ago that we looked at HDR imagery and lapped it up as an original way of creating a unique view of the world. Now, a few short years later, HDR imagery evinces quite the opposite reaction when we see it. The same goes for several styles and trends in photography and any other print medium for that matter. Then there’s context. I distinctly remember an argument in an English literature lecture where we were discussing Joseph Conrad’s ‘Heart of Darkness’. The politically correct knee-jerk reaction that was evinced by a large proportion of the students, who read the novella in the context of ‘today’, was that Conrad was a colonial racist (many of these students had read Chinua Achebe's piercing and solid criticism of Conrad in "An Image of Africa: Racism in Conrad's 'Heart of Darkness’”, before they actually read the novella in question). Being white at the time of the writing of 'Heart of Darkness' probably meant you were a de facto racist. The point was that the character who the story is narrated through, Marlowe, is a product of European hegemony and perceptions of hierarchy. The story he narrates is told through the eyes of a European (read that as white and subliminally racist) traveler. One of the interpretations of the book is however that the protagonist comes to a realisation that we are actually all the same and that the perceived barbarity of the the other through European eyes is just that, a perception and not real. The irony of course is that Conrad was criticised by his contemporaries for what is essentially his non-racist thesis. Now, with more than a hundred years separating the writing and our reading of the same book, we vilify the writer as a racist. Context matters. Which brings me to Steve McCurry and the furore that has erupted around his supposedly over-manipulated imagery. This all started with an article written by Tegu Cole in the New York Times where Cole criticised McCurry’s images as being too perfect. Too neat. A European’s idealised vision of India, imperialistic at worst. The problem was that this started what is perhaps an unfair attention on McCurry’s work, culminating in a botched print at an exhibition (see this article in Petapixel in Italy that highlighted his use, possibly overuse, of Photoshop). Steve McCurry is a product of a particular age in photography. His use of bright colours and staging of images in particular have apparently brought about the ire of modern day commentators. One article decried that his vision is imperialistic; this not less than a decade after he was lauded as being a photographer with incredible pathos for his subjects (quite the contradiction apparently). We have apparently forgotten that literally ten years ago photo essays were being shot on Fuji Velvia; a film of choice because of its saturated colours. Some photographers embraced the use of enhanced colour, and at the time this was applauded. In local terms think of the South African photographer Obie Oberholzer whose ‘visual story-telling’ again relies on saturated colours to draw the attention of the viewer. Go back a little further in time and the National Geographic, McCurry’s erstwhile employer for much of his work, was playfully labelled, ‘the red shirt school of photography’. This because photographers were known to pack a red scarf, cap or shirt in their kit and ask subjects to wear them during a shoot. Which brings me to the accusation of staged imagery. If you are going to whip out a red cap and ask the subject to pop it on, well then the image is staged. McCurry has been roundly chastised for staging certain images in his career that were used to illustrate the pages of the National Geographic. Again, this is not new and was fairly common practice. Watch the old ‘The Photographers’ video that National Geographic aired in the mid 1990s (as a companion to the still excellent ‘The Photographs’ book with the now famous McCurry Afghan portrait as cover) and you will see - I think it was Sam Abell - photographing an old woman in her home. The scene starts with meeting her and then him asking his ‘fixer-assistant’ to ask her about being allowed to photograph her. We follow from there to a small room where he mixes ambient and flash light to create a fantastic portrait of her wizened face. Is this natural? Or was it staged? How much ‘staging’ counts as staging? Do we condemn Dorothea Lange for posing subjects in her images (her famous Migrant mother and children, although a found scene, is still staged to a large degree and was most categorically not a candid image). We also know that a great many of Henri-Cartier Bresson’s (that great archetype of street photographer) images were staged either though anticipation or just plain planning (See this Guardian article on the republishing of his seminal work). Do we condemn those images with that knowledge. Interestingly, Cartier-Bresson’s work has also been criticised for being too perfect, too neat. Now it’s Steve McCurry’s turn. Essentially, McCurry’s work and style which were not only in vogue twenty years ago, but actually influenced the photographic medium, are now under attack by a new sensibility. Out with the order, in with the chaos. The photographer now has to be completely unseen, compositions less than perfect. 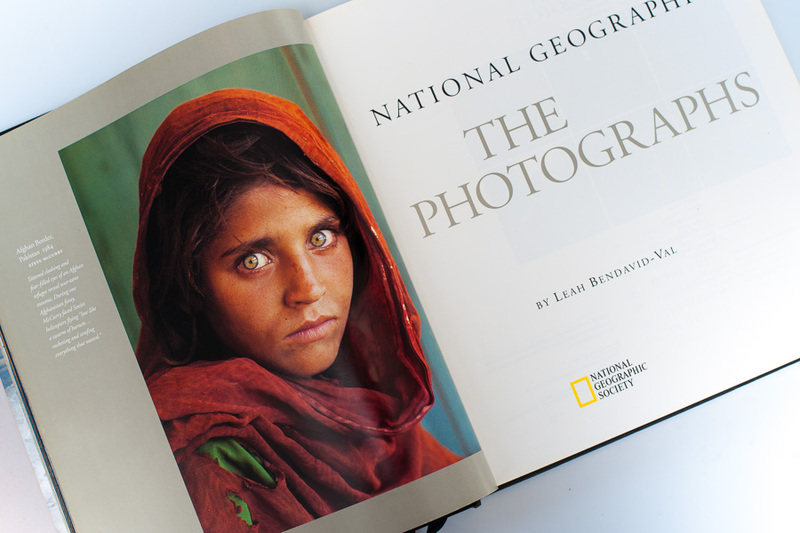 The connection that viewers held through McCurry’s work because of his pathos is less evident in the current crop of photographic work because there is less connection. Twenty years ago the image-viewing public wanted to look into the eyes of the subject. That has become cliched, so now we turn to a new vision, one of a disorderly world perhaps, something that is considered less imperialistic (or even paternalistic) and more indigenous or perhaps stream of consciousness in its origin. The viewer wants less of Cartier-Bresson and more of Garry Winogrand in their images. Before we jump on the bandwagon and slay the legacy that is Steve McCurry’s, perhaps we viewers caught up in the internet’s echo chamber and with the self-assured confidence of not being the photographer, should take a moment to consider style and context. McCurry himself has stated that he is no longer a documentary photographer and has not been one for quite some time. Are we, the public, so limited in our imagination of the person that is Steve McCurry, that we pigeonhole him into a single genre of photography; one whose style, content and methodology have also changed over the years? If this is the case, who is next? Shall we start criticising (as opposed to critiquing) Martin Schoeller perhaps? Are his images too perfect? After all they are all staged. Or better yet, do we condemn him for trying something different? The images of McCurry’s that have come into question have all been produced on personal trips, not documentary assignments. Although there is now a small debate around the famous Afghan portrait and a piece of dirt under the eye in one version, these are edits that may have been made by an editor, not McCurry. Differences in colour between one version and another are probably also due to the printing process more than anything else (I have produced books before and know the nightmare that is colour accuracy, or inaccuracy as is more usual). So for me listening to someone harp on about how poor a photographer McCurry is, is similar to listening to a critic of Ansel Adams saying that his images are unoriginal. Preference of style and temporal context likely inform both. Ansel Adams’ images are the prototype landscape visuals that informed generations of landscape photographers thereafter. Steve McCurry’s work has been vastly copied and emulated to the point that images of his are no longer considered ‘original’. As a visual artist Photoshop is no doubt an incredible boon. I just feel sorry for him that the public requires him to keep pace with the imaging world, but remain one foot in the eighties where he made his name.